1.The genotypes showed significant differences in the 5% probability level for all studied traits. The genotype Amber 33 superior to all other traits except for the number of effective branches for genotype Forat. The method of irrigation by flooding showed significant superiority of all studied traits. The genetic variance values were higher than the environmental variability values of all traits except for the number of branches. 5.The estimates of heritability values in the broad sense indicated that they were high for all traits. 6.The values of the phenotypic and genetic differences were different between low values of the number of days from planting to 50% flowering and medium for the other traits except for the area of the leaf it was high for the irrigation methods and the low of the number of branches. panicle. 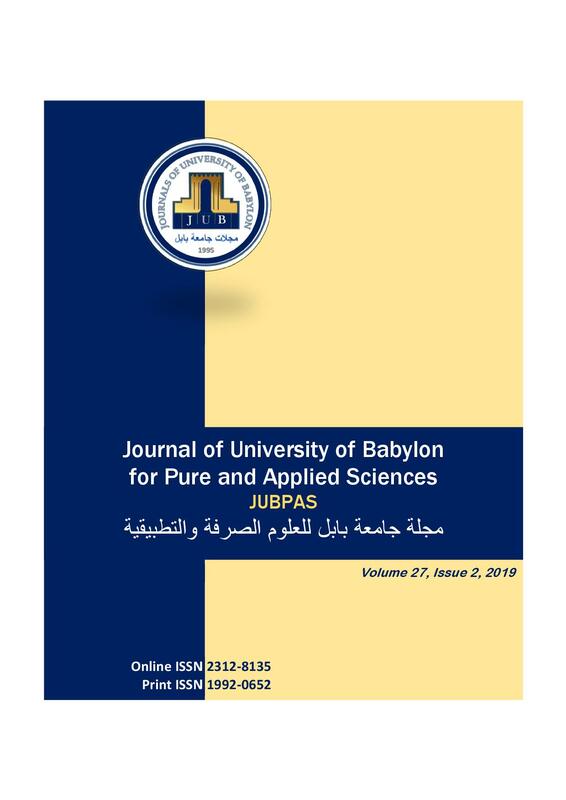 A. Serheed and H. Ahmed, “Estimation of the Genetic Parameters of the Growth Characteristics in Rice Crop (Oryza sativa L.) by Effect of two Methods Irrigation”, JUBPAS, vol. 27, no. 2, pp. 80 - 94, Mar. 2019.